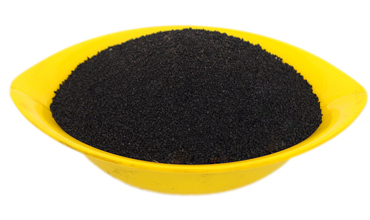 Sodium Humate – HCM Agro Products Private Ltd. Sodium is used in agriculture as fertilizer additive to increase the efficiency of fertilizer especially Nitrogen & Phosphorus based fertilizers. Sodium Humate has the prominent property to absorb toxins, which decides this product is naturally an important for animal health. It also can be used in Aquaculture. Improves the immunity & metabolism of crops. Retain water and fight drought. Promote metabolism, acclerate their growth and development. Improve meat quality, raise the yield of meat, eggs and milk. Used as organic feed additive. It improves animals immune system, in such a way that a thin protective coating is formed on the animals intestinal system. Petroleum drilling fluid decreasing and filtering agent. Boiler anti-scaling agent and water quality stabilizer. Cementing agent for pulverized coal shaping. Ceramic pug additive and dispersing agent.